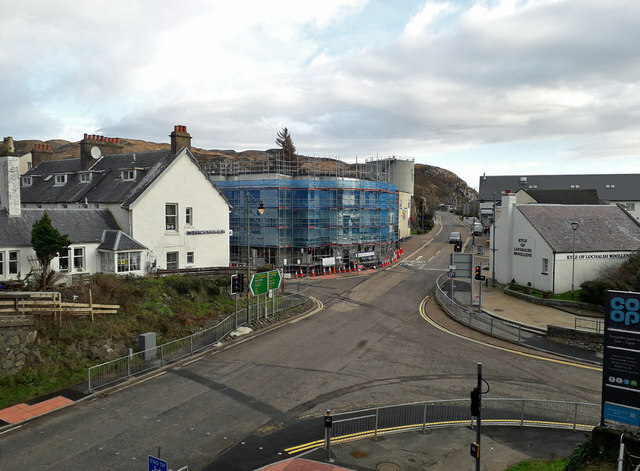 In the centre of Kyle of Lochalsh, construction is nearing completion of 13 new flats 'for affordable rent' with retail units beneath. The main road is the A87. Similar view in 2016: NG7627 : Redevelopment site, Kyle of Lochalsh. Closer view of the new flats: NG7627 : New build in Kyle.